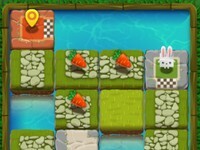 Bunny Quest is a puzzle and thinking game in which you slide tiles and form a path for the little bunny to collect all carrots and reach the exit. 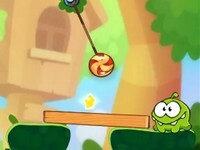 on The game has 80 increasingly difficult levels! In case you are stuck, use one of the hints available. Game Controls: Click and Drag the tiles.